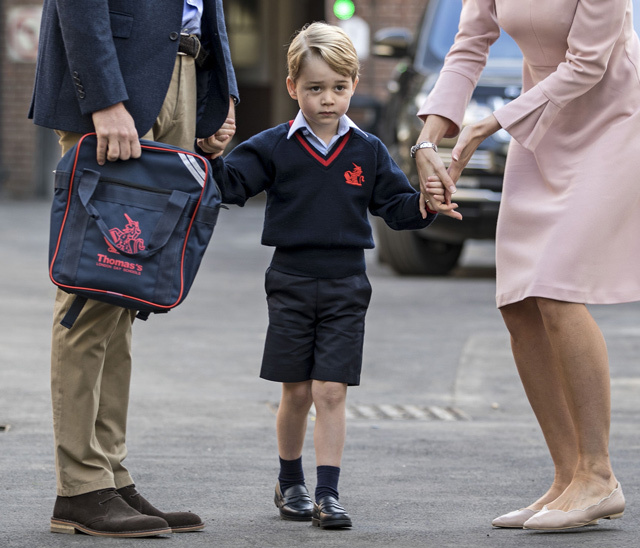 Britain's Prince George started his first day of school on Thursday but palace officials said his pregnant mother Kate was too unwell to attend and he was dropped off by his father Prince William. 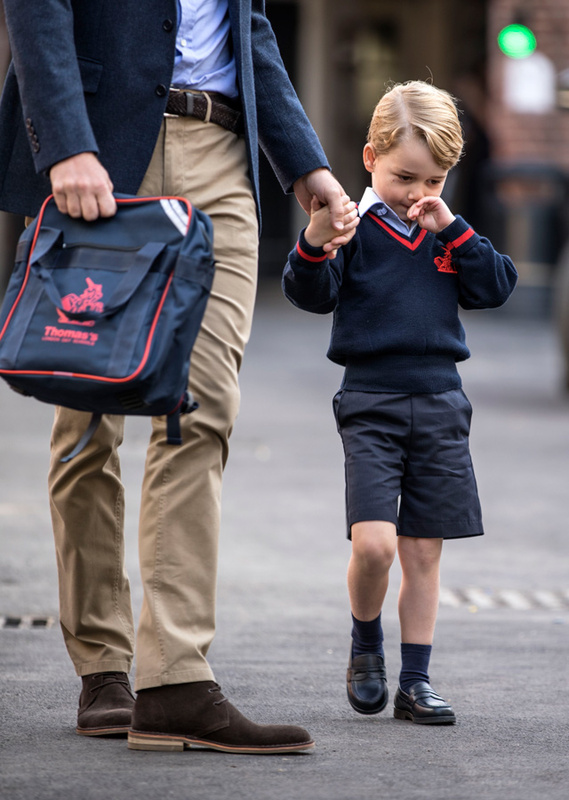 Father and son were met on arrival at the school gates by Helen Haslem, headteacher for the younger children, who then took them to Prince George's new classroom. 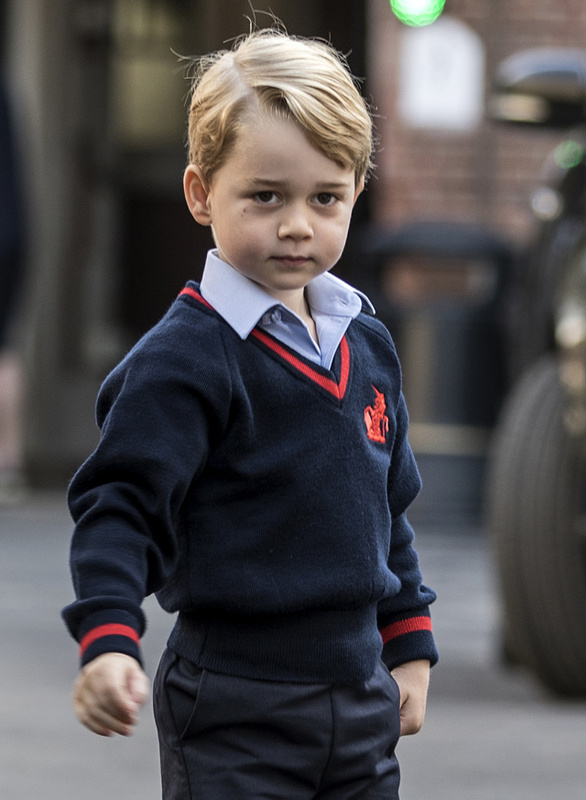 George, whose formal title is Prince George of Cambridge, will be known as George Cambridge to his classmates at the £17,600-a-year (19,200-euro, $23,000) school. 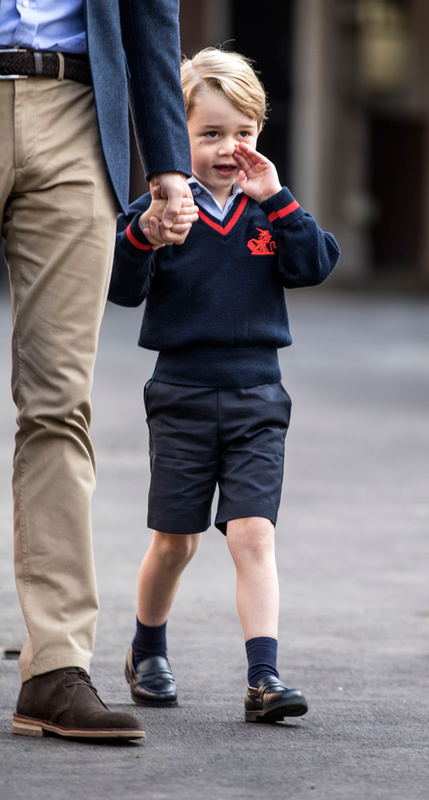 Kate has not yet reached the 12-week stage when women normally make the news public but made the announcement after she had to cancel an engagement.